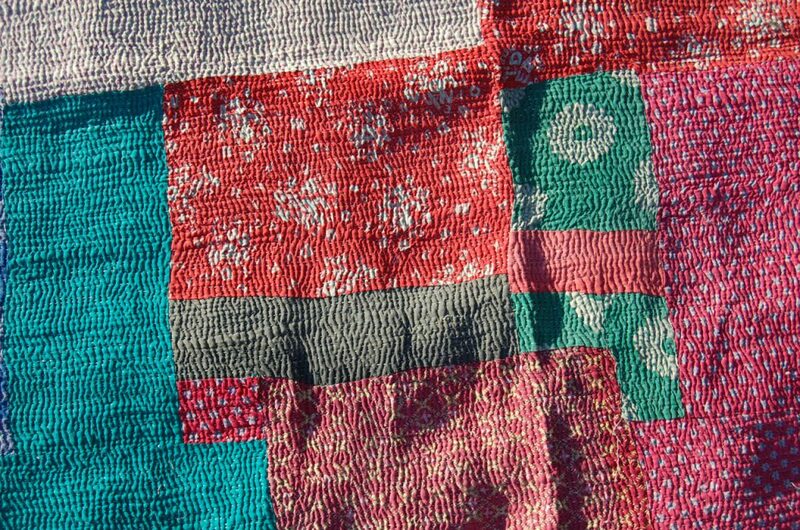 The dreamy rainbow of colours, stripes on one side and patchwork squares on the other, give this quilt a lot of fun-loving personality! 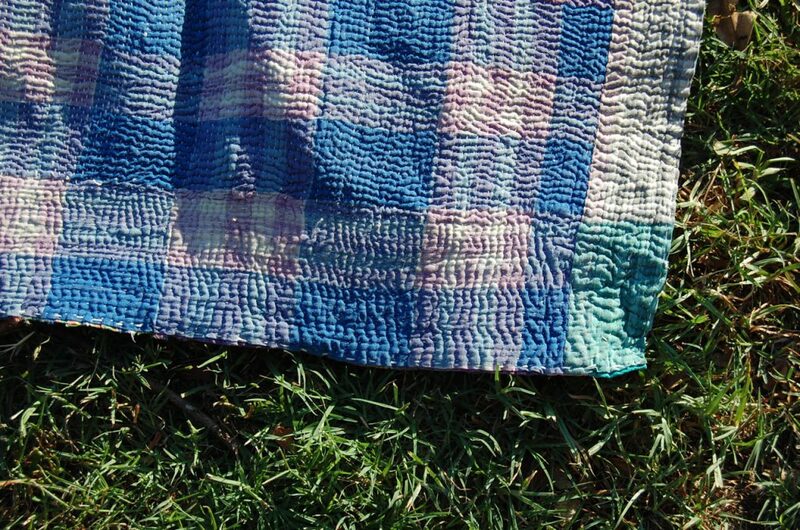 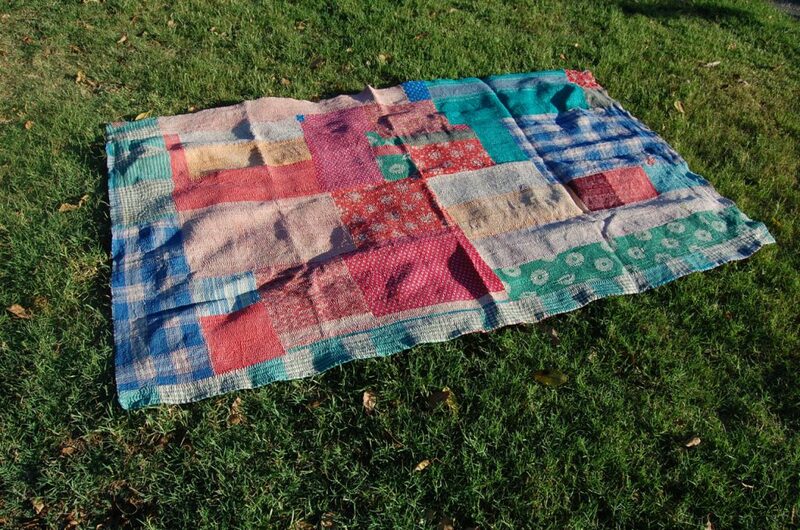 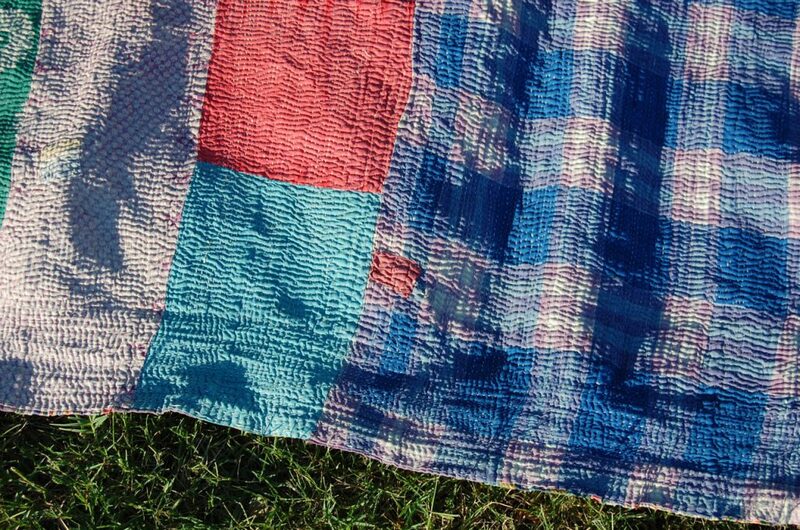 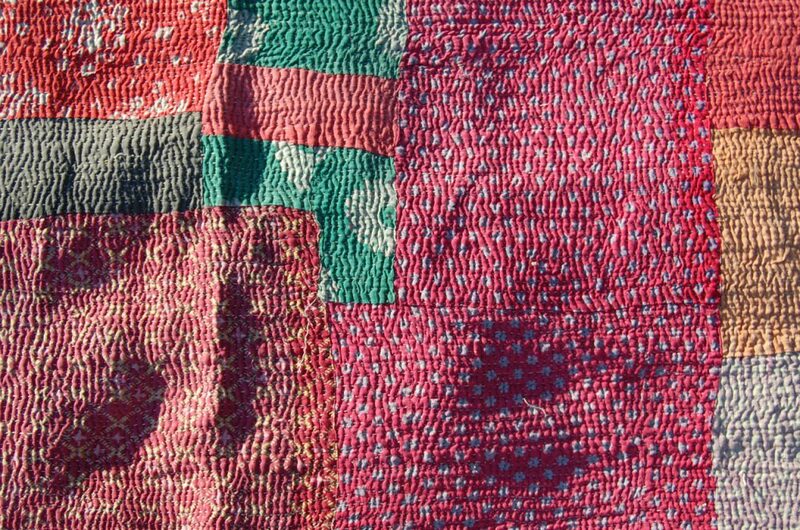 A fun, social type, but also complex when admired a little closer, this quilt has it all. 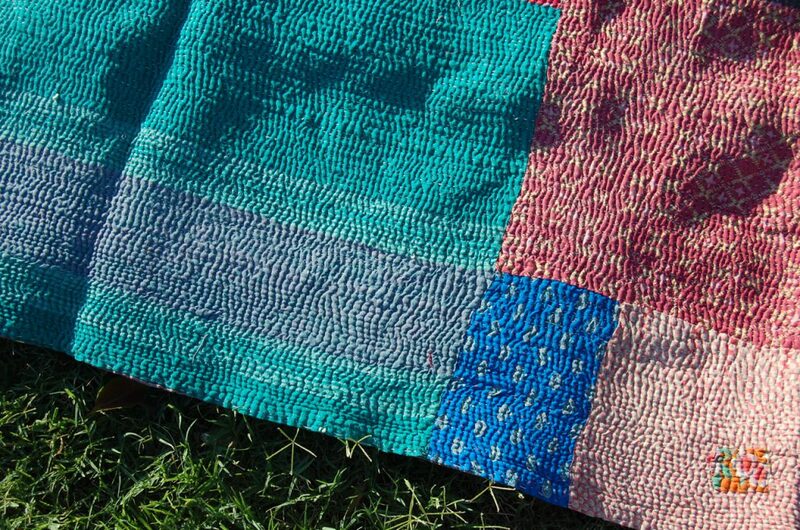 The enticing assortment of patterns and colours will be sure to satisfy your textile needs. 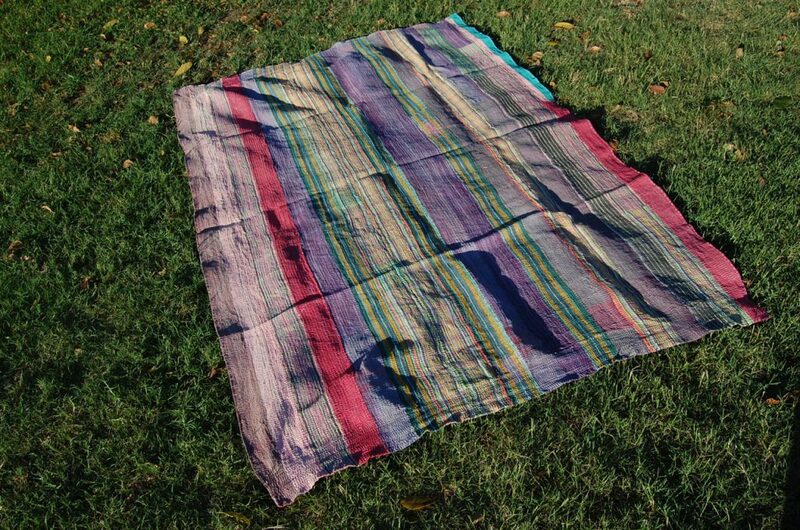 After something like this? 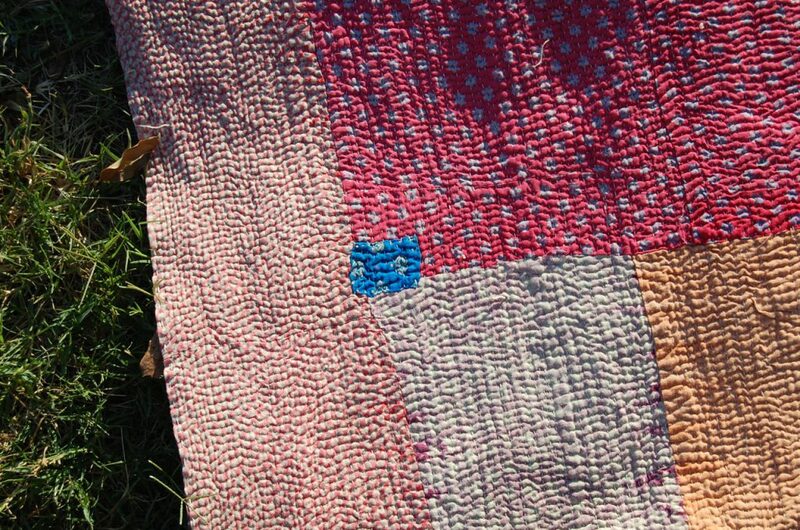 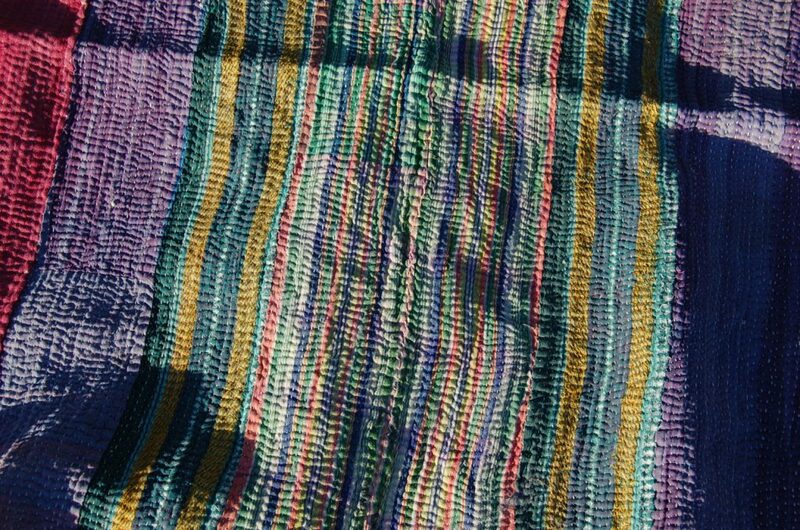 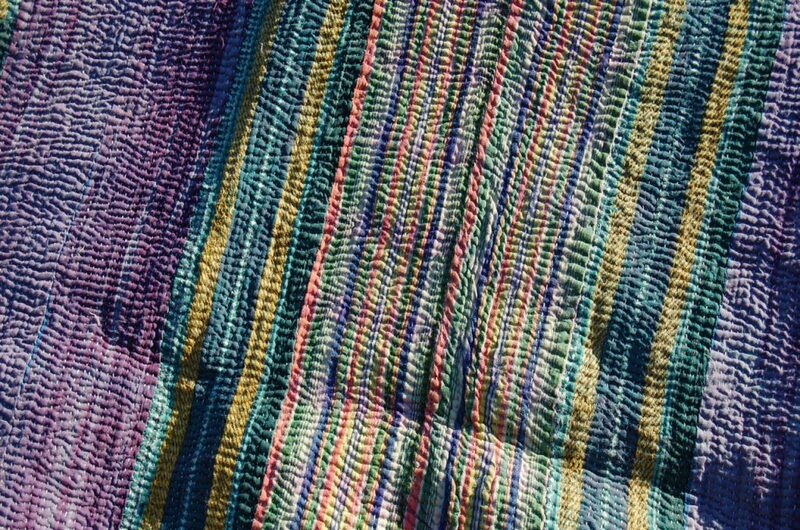 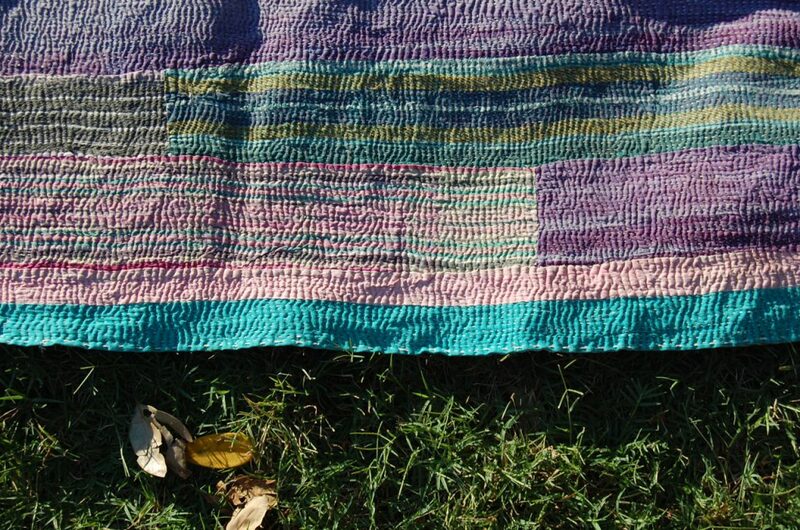 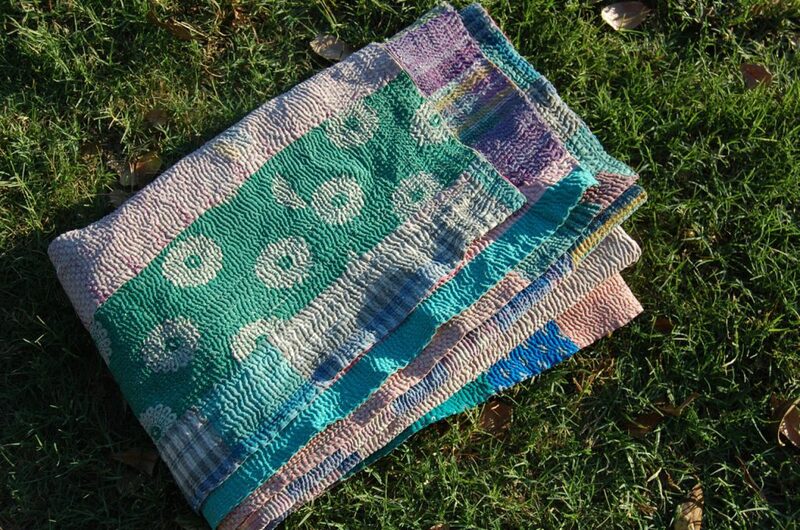 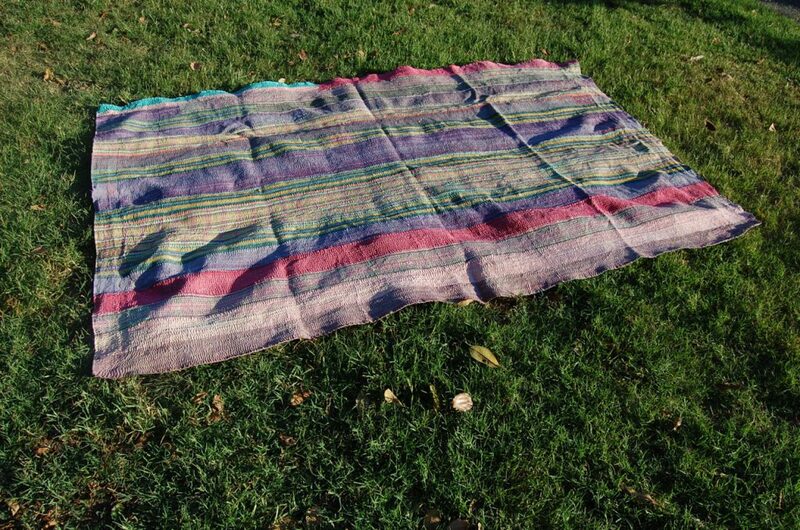 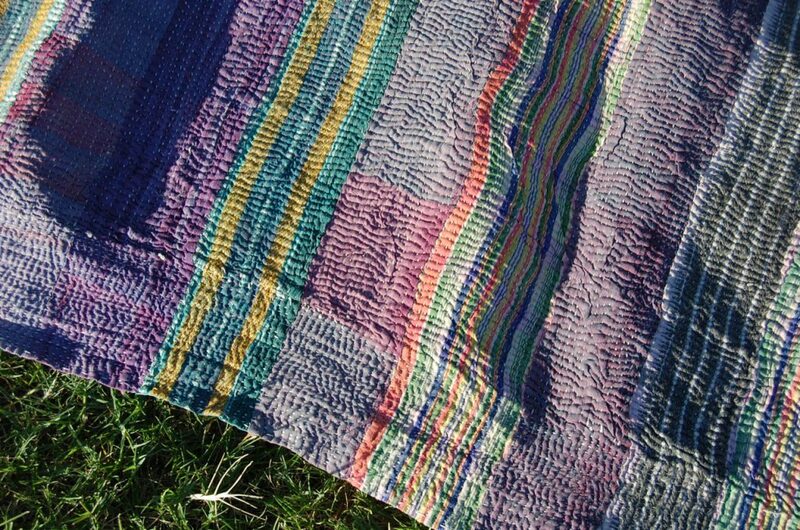 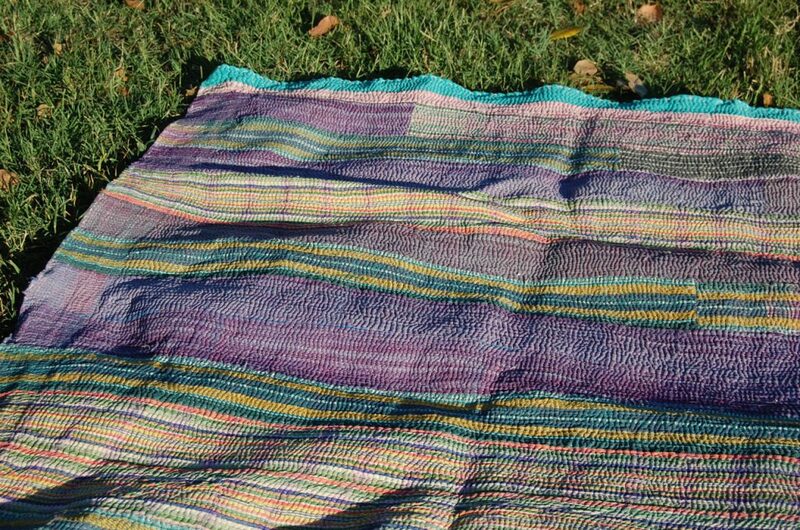 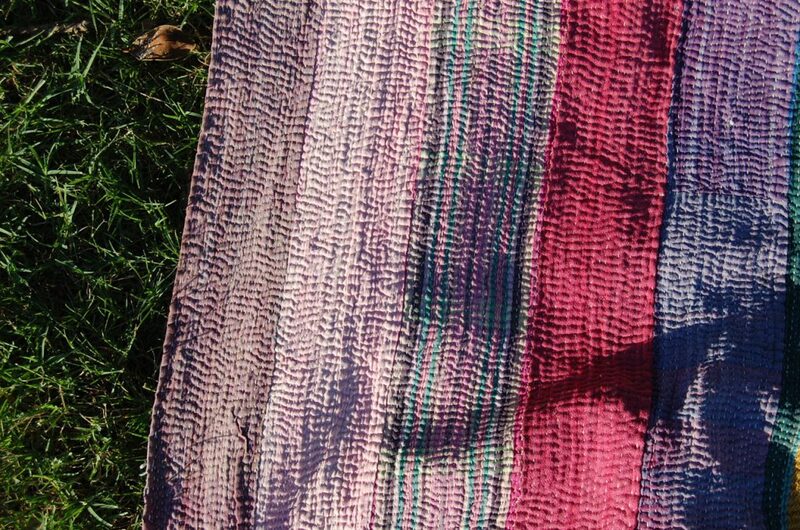 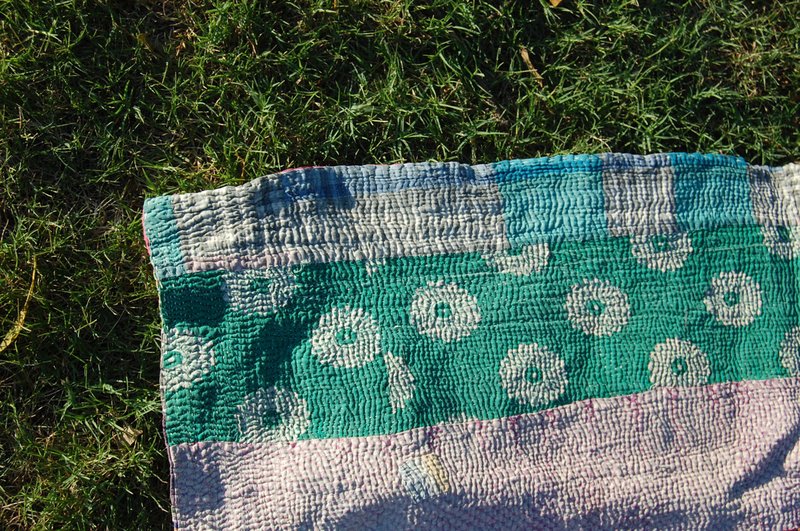 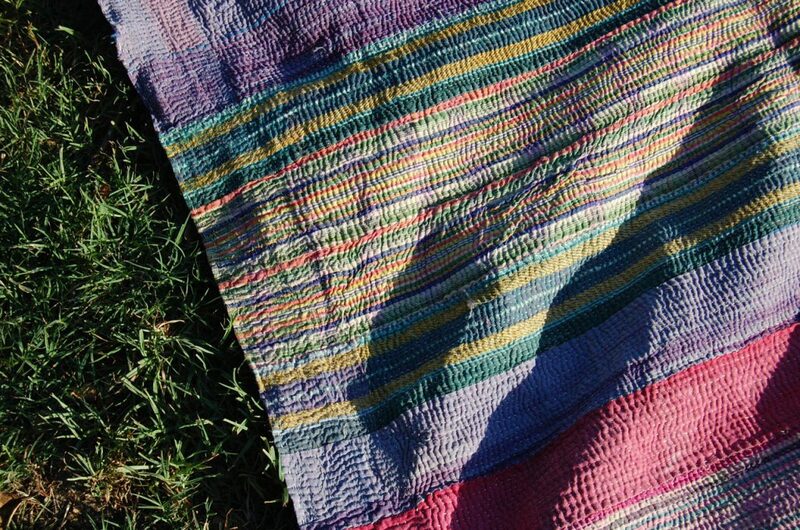 See what other delights we have in store at The Kantha Project Shop.